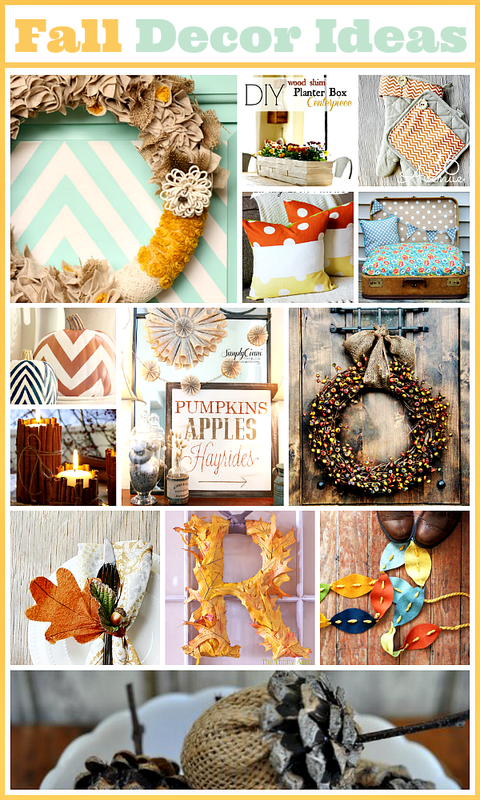 Are you ready to start getting some ideas of how to decorate for Fall? 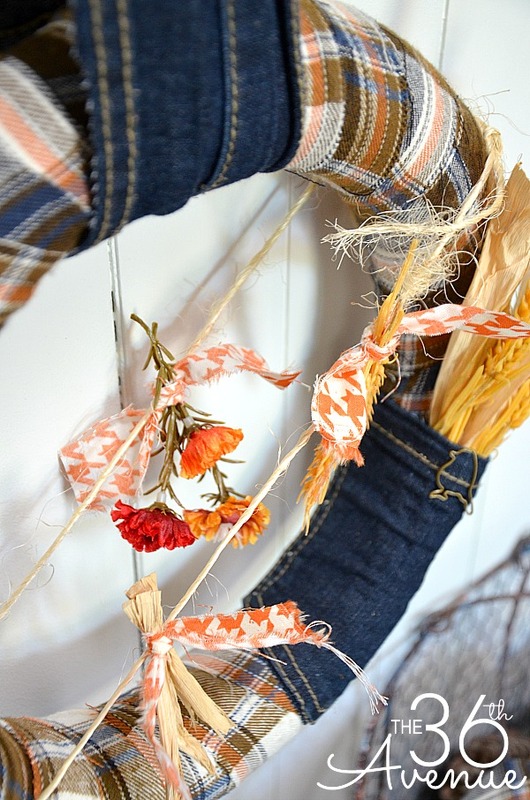 I am sharing today our new Fall Wreath Tutorial. I made this flannel and denim wreath in about 10 minutes. 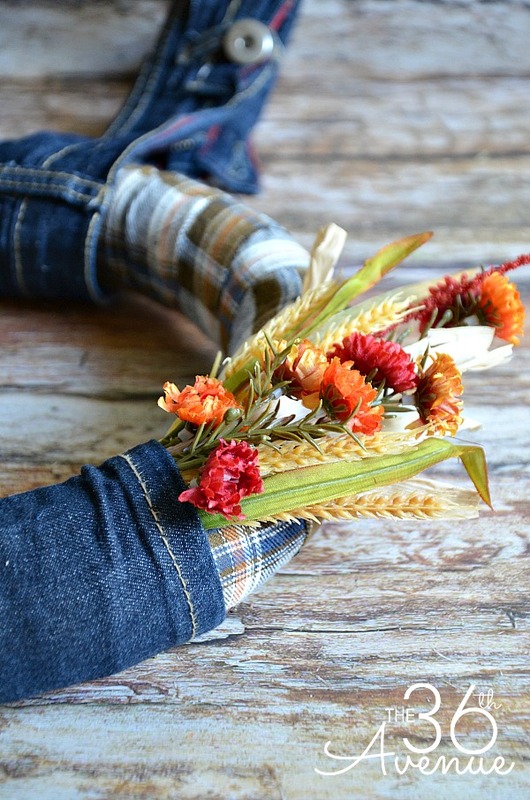 Anyone can make this craft and the best part is that you can use old jeans and a flannel shirt that you don’t use anymore… Take a look! 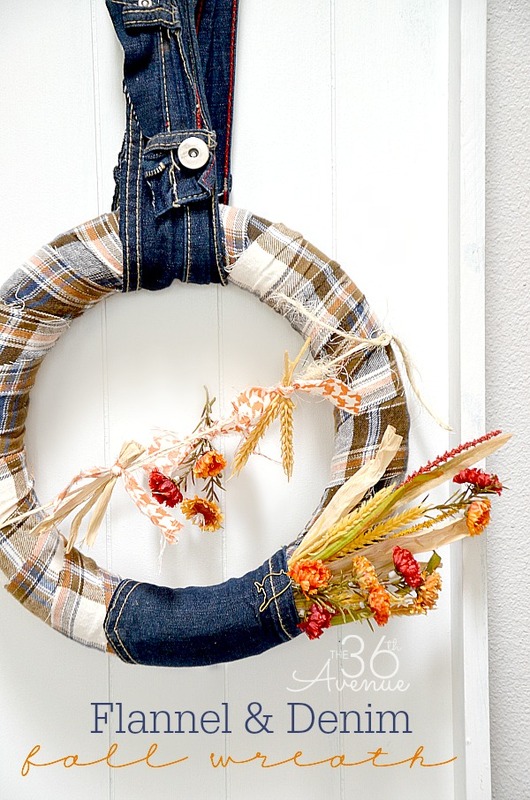 Foam Wreath, 1/2 Yard Flannel, Old Jeans, Pins, Dry or Silk Flowers. 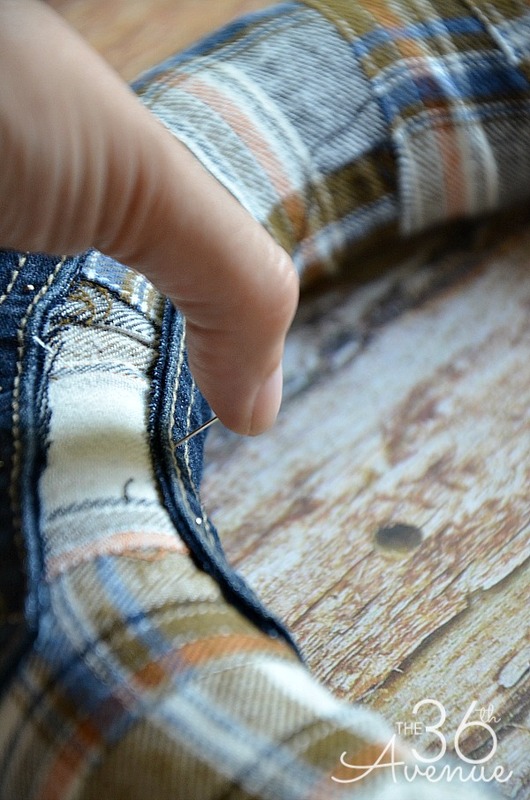 Cut the fabric in about 2″ wide strips and as long as you want. 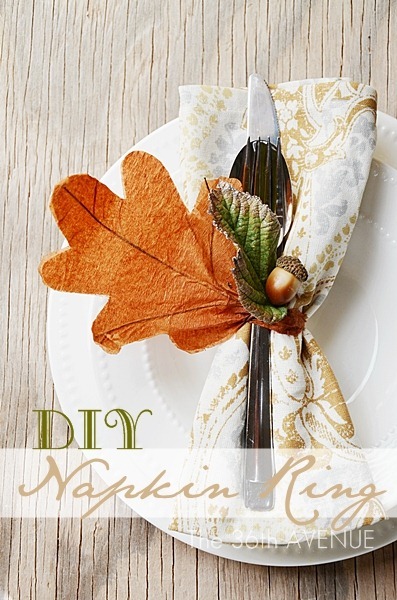 Wrap the wreath with the fabric, using pins to keep the fabric in place. I cut the back pocket and the waist band off of a pair of old jeans. I wrapped the pocket around the wreath and again used pins to keep it in place. Use dry or silk fall flowers to decorate your wreath. Fill up the pocket with the flowers. 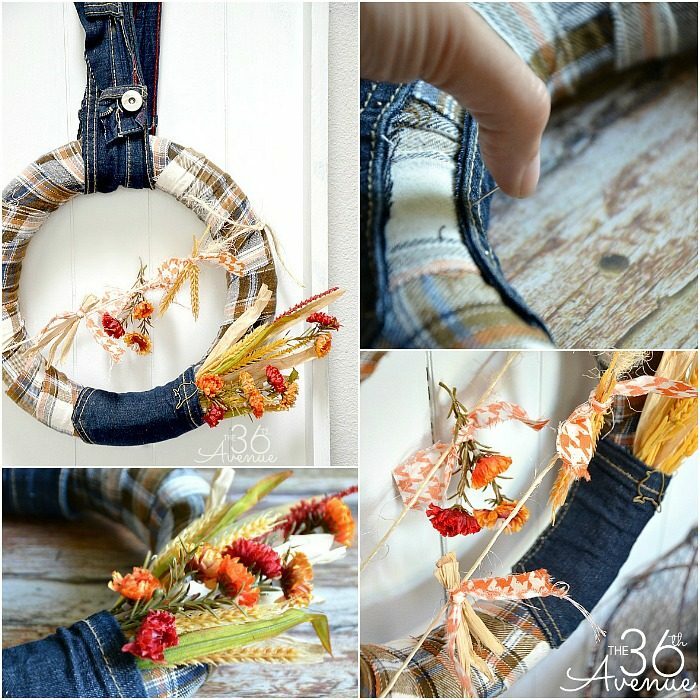 Tie a piece of twine across the wreath and hang from it small bunches of flowers using little pieces of fabric. Put the waist band around the top of the wreath so you can hang it and again secure it with pins. I love to decorate my home for the Holidays and the different seasons with wreaths. 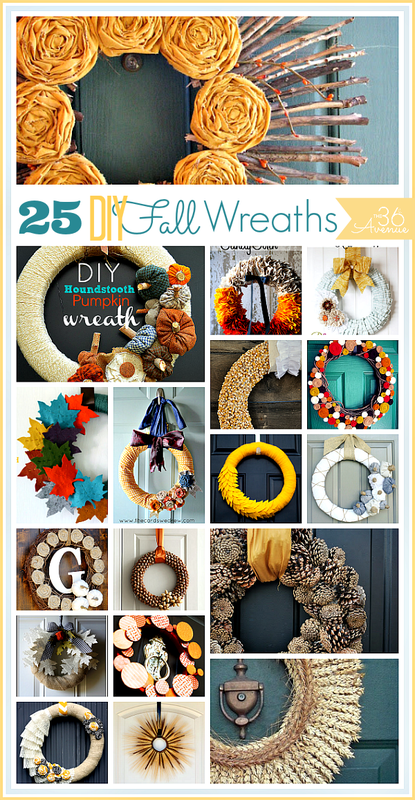 If you like them as much as I do check out these other Wreath Tutorials! I have seen some pretty clever ideas for fall…but this ranks up there on the “brilliant” level! What a fantastic idea, Desiree! Such a creative idea! I always love seeing a new and different idea out there in blog world. Love the wreath!! It’s super cute with the flannel and jean accents. 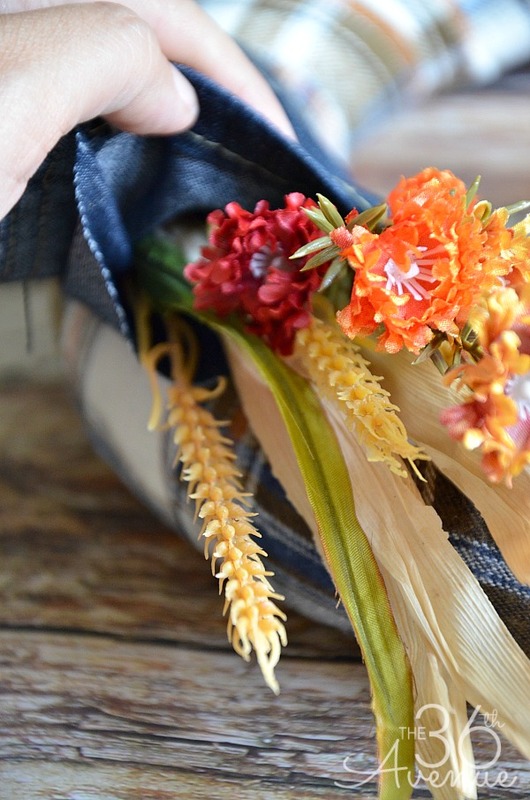 Using the pocket with flowers is perfect. Love it!! Pinned it!! 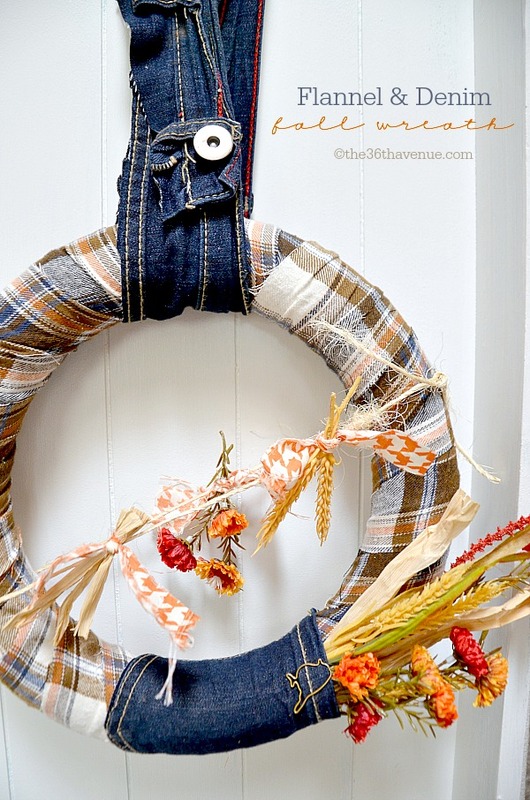 Great wreath idea, perfect up cycle! Looks so great! Love the denim and flannel! Such a cute wreath! Pinned!